iFIT Workouts and Review 2019 - Is it Worth the Yearly Membership? We decided to dedicate this article to iFIT workouts after having the opportunity to test it out on a number of different treadmills during our in-depth reviews. You can read our iFIT Treadmills article also to see which models currently offer this capability and where to buy them. What we can say from the beginning is that our experience with the iFIT workouts, either tested with the older LIVE module and SD Cards, or the newer Bluetooth and built-in technology, has been great. There’s really nothing else like it out there. UPDATE: iFit LIVE is now called simply iFit, and the latest version is called iFit Coach. The SD cards have been phased out for the most part, and new machines are either iFit compatible, meaning you need to use your tablet or smart phone to access it, or iFit enabled, which means that iFit is ready to go on your machine, no tablet or smart phone necessary. Go here for iFit Vue, memberships, wearables and trackers. Go here for to view the full lineup of NordicTrack treadmills with iFit Coach capability. Go here for to view the full lineup of ProForm treadmills with iFit Coach capability. To learn more about iFit, continue reading below…. This is the very latest version of the iFit program, first introduced in 2016. Most new NordicTrack and ProForm machines come with iFit Coach, the ever-evolving ICON Health & Fitness’ popular program. Your treadmill will either be iFit Coach enabled, which means you can see everything right on your machine, or iFit Coach Bluetooth ready, which means you can view it on your phone or tablet if the machine does not have a touch screen to view it on. Either way, it provides custom workouts, daily coaching, sleep suggestions and meal plans daily to help you reach your fitness goals quicker. You can also choose from a library of professionally designed workout programs, track all of your progress, set goals for yourself and share your results with friends and family. The best feature is and always has been Google map integration, which means you can choose any location in the world and it appears right in front of you. It’s like you are actually there, running or jogging on any trail you pick, which makes working out that much more exciting. What are the iFit Costs? JANUARY 2019 UPDATE: There are some new treadmills in the NordicTrack and ProForm lineups. 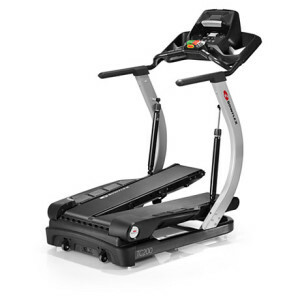 The new X32i Incline Trainer joins the X22i and X11i models. All three currently come with one year free of iFit, as do all of the other NordicTrack treadmills except the C700, on which iFit membership is optional. 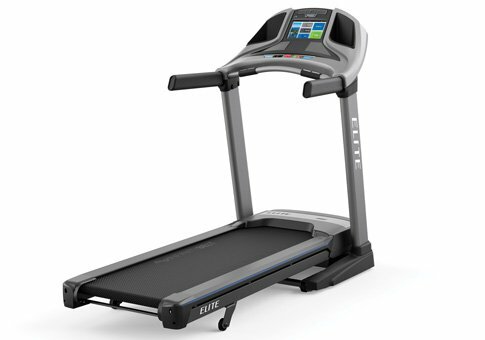 As far as ProForm, it looks like they are taking a cue from NordicTrack, offering free iFit for one year on all of their treadmills, including the newest member of the Performance Series, the 800i. The current cost after the first free year is $396, which works out to about $33 per month. They sometimes discount that price if you purchase multiple years. JUNE 2018 UPDATE: Things have changed again, like they always do with iFit. Now, certain treadmills and ellipticals from ProForm have a SMART designation, which means they come with a free one-year subscription to iFit Coach…it’s built into the price. Currently the SMART ProForm treadmill models are: Pro 5000, Pro 9000 and the Power 1295i. These three models include iFit Coach free for one year…the other models do not. Also, NordicTrack is including iFit for one year free on all of their treadmills except the entry level C700. So all of the other C series, Commercial and Incline Trainers now have a full year of iFit Coach for free. For now the free set of dumbbells and the free iFit wearable are off the table, and can be purchased for a fee if you are interested in them. Please note that this is subject to change, so always check back for updates. DECEMBER 2017 UPDATE: When we last checked, iFit Coach Plus was required on all NordicTrack Incline Trainers and Commercial treadmills. It is $39 per month and comes with a FREE iFit Vue wearable device and FREE adjustable dumbbells. 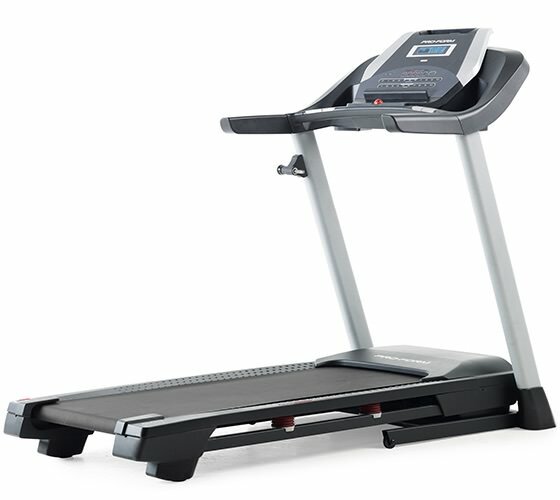 On other NordicTrack treadmills (C Series, Desks) and all ProForm treadmills it is optional, and the cost is $180 for one year or $270 for two years. On those models it is iFit Coach and not iFit Coach Plus. Note that the prices seem to change fairly regularly, so they might be offering different deals when you purchase your new treadmill. JULY 2017 UPDATE: Currently an iFit Coach subscription is required on many new NordicTrack and ProForm treadmills. You get a FREE iFit wearable with your purchase. So it is no longer an “option” on those machines, as it is on the lower priced ones. For quite some time your first year was included for free when you purchased an ICON Fitness treadmill or elliptical. You then paid a yearly fee of about $99 to continue the subscription. Currently, you have two options: One year membership is $12 a month ($144 billed yearly) and an iFit wearable is included to track all of your activity. Two year membership is only $9 a month ($216 billed every two years), so you’re essentially getting 6 months free. There is also something called iFit Coach Plus, that gives you HD video workouts, daily classes and dumbbells, but that is only on the incline trainers currently. 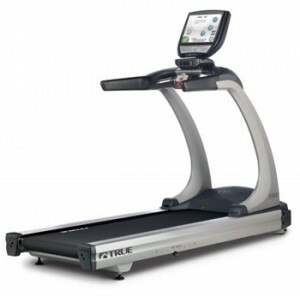 If you are interested in buying a treadmill with iFit technology, just follow this link to NordicTrack or ProForm, as those are the only two ICON brands with the latest iFit Coach technology. 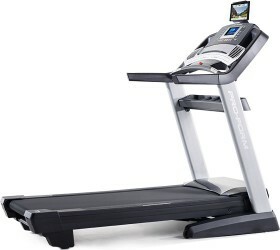 This is the latest iFIT Live technology released with 2011 treadmills. Consider it as an upgrade to the previous iFIT LIVE module that now supports communicating with your ifit.com subscription directly from the treadmill’s console. The iFIT LIVE Module costs (for the upgraded version or the older version) are the same. 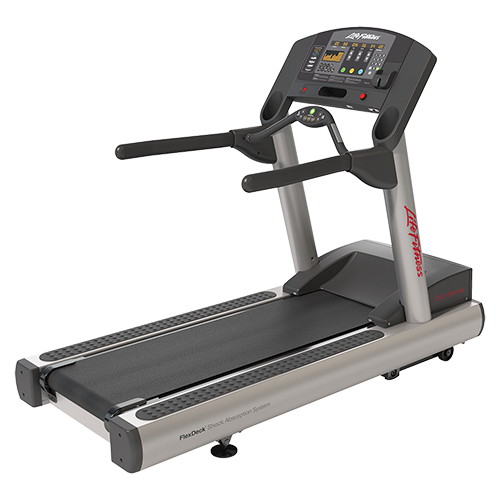 The treadmill automatically changes the incline of the treadmill (up and down) to simulate terrain during any workout . Important: For technical assistance we recommend browsing through the Beta Support System launched at the beginning of 2012. We had the chance to be present when a friend installed the iFIT LIVE Module on his NordicTrack X7i Incliner 7 inch touchscreen display. It was then when we understood this was not an easy process and it can really mess with you if you’re not somehow familiar with the Internet and Software products. * A wireless router with SSID broadcast enabled and Internet connection. * After you connect the iFIT Module to the PC with the USB cable go to the web address they recommend. * Register your profile at iFIT website and you will download workouts to match your personal details. This is important to reach your goals correctly. * While you have the USB cable connected you must install the software as well. When you get the message the installation is complete, you can insert the module in the Treadmill console and remove the USB cable. * When you insert the iFIT Module in the console you must enable the WiFi connection and make sure the module is connected to the Internet Wireless. * Turn on the treadmill and you will get the message Updates are required. Don’t ignore that message or you’ll be sorry later. Have patience and allow the iFIT Module software to update, even if it takes some hours. During this process, don’t remove the module and go have a coffee with friends. Even if you have the older version of the iFIT LIVE module, the workouts options are the same as the new version. The iFIT module downloads the workouts in the treadmill console through the WiFi internet connection. Speed and Incline are automatically controlled during the workout. All you need to do is follow the instructions the trainer gives you verbally. The advantage is you can monitor your progress directly in your iFIT account when you login from your PC. If you have an iPhone (but it’s not mandatory) you can simply send your meals info to your account so the trainers can customize your workouts accordingly. They send you workouts daily. ICON Health & Fitness gives you a 90 days warranty from the purchase. So make sure you register the product shortly after you buy it. This is not the greatest warranty and you do need to follow their instructions one by one to avoid problems. Some ICON branded treadmills have the iFIT cards compatibility enabled. We tested these too. They are really great. They don’t have the same advantages as the iFIT LIVE module but they are efficient and decrease a lot the boredom sensation you may feel when training on a treadmill. All are signed by Jillian Michaels. 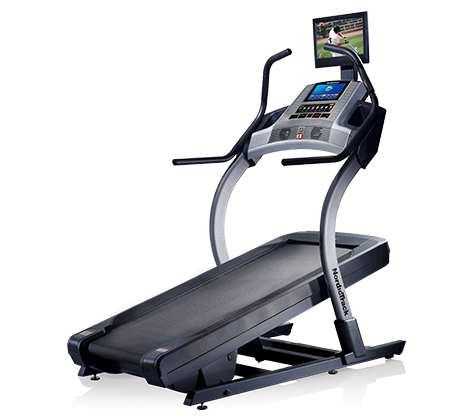 The SD cards control automatically the speed and incline of the treadmill. If you can’t keep the pace, you can always change the incline and speed, but don’t forget that the change you do applies only for one interval. The SD workout is a sum of multiple intervals. One tip: always remove the cards from the treadmill console when you’re not using them. – iFIT workouts are challenging because they are built following a complete workout recipe, by professional trainers. Each workout pushes you to your next limit which is the key to a successful training program. – The workouts have voices commands too. This replaces a personal trainer with so little costs. – Workouts control the speed and incline of each treadmill they are installed on, automatically. So you just have to listen to the commands the trainer gives you and keep running. – iFIT LIVE module, although revolutionary, is still in beta version. This is why you may often meet difficulties when using or installing it. In this case you have to contact their Customer Support. – Although workouts are compatible with many ICON FITNESS treadmills, only some are real powerful and stable to support them all the way. Always read the review of the treadmill which has this feature listed. Although an attractive feature, may not be efficient at all on weak treadmills. With some models it’s listed just as a mechanism to get your money. We know this options exists, but we haven’t tested it yet. We’ll keep this section open to update after we have the chance to review a treadmill compatible with it. CD’s work same as SD cards, only that you need a separate CD player to play them and connect to the treadmill. These are signed by trainers like Robin and Pete. We warn you the options are very limited, especially for treadmills, although they cost less than the SD cards. Plus they wear out much more easily. This option is barely found on the latest treadmills released by ICON. Still some have it. To use an iFIT Videocassette you need a VCR to connect to the compatible console. We couldn’t find any VideoCassette to buy for our Healtrider Treadmill, compatible with this option. We’re looking for some tips if any of you know where we could buy them. Maybe some of you had the chance to use the iFIT workouts too. Send us your feedback as we’re very interested in knowing how your experience feels and what benefits or issues you’ve had after using them. PS: Read the second part of this article dedicated to iFIT Treadmills. Hi, I have a Proform 600LTZ and have purchased the Jillian Michaels Get Fit SD Cards Level 1/2/3 only recently but on Level 1 week 2 programme 1 the SD Card just cuts out and takes the Treadmill back to 0 and I have to restart the programme all over again, only to have it stop about a minute past the last stoppage.. this is getting very upsetting as I am prepared to use this as I like it but it is so frustrating I’m not sure if the SD Card is faulty or if there is a problem with the Ifit in the Treadmill. Can anyone help? Hi – I’m one of the creators of a competing interactive cardio product called BitGym. With our iOS and Android app you can just place your phone or tablet onto any treadmill (or other cardio machine) and enjoy HD speed interactive videos. If you don’t want to buy a new treadmill, or you prefer to buy an inexpensive one, I humbly ask you to consider checking out BitGym first. I get a lot of emails from people saying they feel they wasted tons of money on iFit when they could have just used BitGym instead. iFit double charged us $848.24 for our “FREE one year trial membership” that we received when we bought our ProForm treadmill. When we called to dispute the charges we were put on hold for over 30 minutes. When we finally got through to a customer rep. we were told they only saw one of the charge for $424.12. Poor customer service (we were on hold for over 30 minutes to get through to a service rep) and our problem was not resolved. I finally called my bank to dispute the charge and get the money refunded. BEWARE!!!! We are also having poor, slow, glitchy problems with ifit. I believe the problem is with their server. Also poor costumer service. The content seems good but we can’t get through a full workout. Unfortunately we are left with a very boring track mode that comes standard on Nordic Track treadmills. Our first customer service call was almost 2 hours long and didn’t resolve anything. Also the costumer service agent thinks everyone else is a moron and will not take ownership of any of the problems we are having. Also they are only open during standard hours which makes it very difficult to reach them with hour wait-times. We will try to take it up with Nordic Track but we have heard that they aren’t helping people with ifit problems. Free Year of iFit Coach With Select Treadmill Purchases! 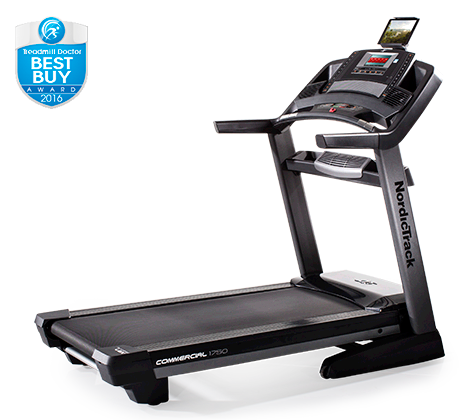 Save up to 50% on new NordicTrack treadmills! 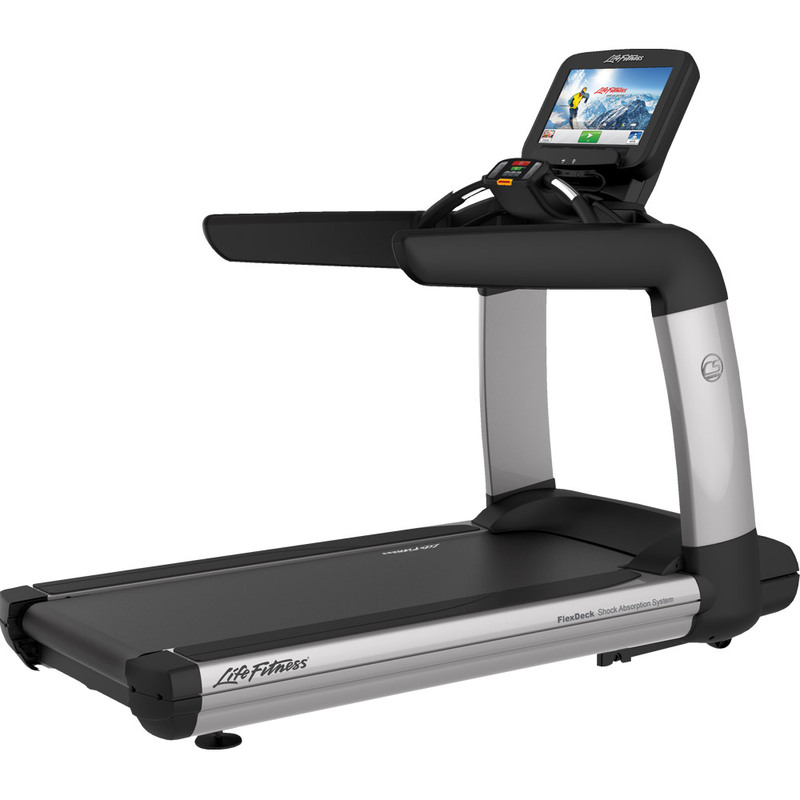 Save up to 40% on new ProForm treadmills!